Why Were Two Sets of the 10 Commandment Tables Created? 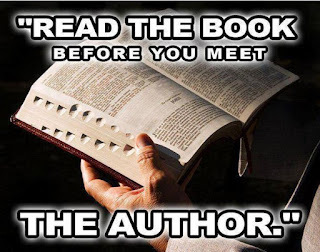 If you’ve read my book, you now know from the “beginning of Creation” God knew Adam & Eve would one day sin in the Garden of Eden, Noah would save his house from a global flood, Moses would part the Red Sea, Jesus would be the light, water of life, and ruler of the world, and an Antichrist would subdue Earth’s inhabitants. How do we know this? Because God secretly prophesied each of these things in the events of His 7 Day Creation! I know, I know, stunning, right? But it’s true! God knows everything. With this in mind, I want you to realize that God also knew when Moses descended Mount Sinai with two stone tables containing His 10 Commandments, he would find the Israelites sinning, causing him to cast the tables on rock, breaking them, which would then lead to God creating a second set of tables: “And the Lord said unto Moses, Hew thee two tables of stone like unto the first: and I will write upon these tables the words that were in the first tables, which thou brakest” (Exodus 34:1). Why did God desire a second set of His 10 Commandment tables to be created? Are you ready for this? Can you handle the truth? Because at Mount Sinai God wanted to secretly reveal the connection between His law of love (the ENTIRE DUTY of man!) and the way in which He had created mankind’s physical body — specifically, we were given TWO hands with 10 fingers (one set), and TWO feet with 10 toes (second set)!!! I know, I know, shocking, right? But, again, it’s true! Everywhere you go, your feet carry you there, and everything you do, your hands do it. Try and grasp this … whether doing evil or good, you use God’s personal, physical copy of the two stone tables He’s given YOU (your feet & hands) to do those deeds! Yes, you have a personal, physical reminder of God’s 10 Commandments right in front of you everyday!!! And rest assured you will be judged ENTIRELY on those 10 Laws one day soon. So I ask, what are you doing with God’s 10 Love Commandments? Why 10 Fingers and 2 Hands? Why 10 Toes and 2 Feet? Approximately 794 Weeks (Sabbaths) Remaining Till Christ's Return! Back in AD 2006 - 2007, when God was working overtime in my life, a Christian man where I worked took an interest in me. Meaning to help, he reluctantly gave me one of his prized books “Soul Winning Made Easy by C.S. Lovett”. I wish you could have seen how torn he was to give it to me, as if it was the Holy Grail! But after much consideration, he handed it to me, as if I should cherish it greatly. To be blunt … I never read it! God was working so quickly in my life, piling up truth after truth, that I just never felt led to read the small book. Well, that all changed this past week, for I found the book while cleaning up my office and purposed to read it. Oh my, I was never more appalled in my life!!! Having been taught by God the FULL TRUTH of His Word concerning salvation's two separate parts (what GOD HAD TO DO & what WE MUST DO) this book’s error was GLARING! It was literally like I was listening to Satan's voice deceivingly trying to dispense life-giving salvation doctrine, but all the while it was clearly a nonsensical death-yielding doctrine. Long story short, the author treated salvation like a used-car salesmen. Your job is to ramrod someone, barely letting them have a chance to talk. You just keep telling them the story of what Jesus did and then try and get them to admit it, and then ask them if they would like to ask Jesus into their heart. If they don’t, make them feel terrible about it, like they are terribly wicked for not wanting to repeat words with you. 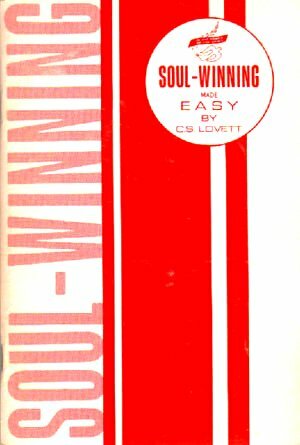 The book gave specific details on how to stand, act, touch, look, etc, as you try to “win” your convert to Jesus. It was truly nauseating! Friend, Satan has wrought incredible deception in today’s mainstream Churchianity world. This easy “soul-winning” lie (that all someone has to do to make heaven is repeat some words and they’re good to go for the rest of their life on Earth!) is so entrenched, runs so deep, in the heart of modern day Christianity that I dare say we’ll never see it fully exposed and eliminated before the return of Christ. The damage has been done. Millions have and will end up in hell thinking they were going to heaven. It will be one of the saddest things to behold when ALL is soon revealed! Approximately 795 Weeks (Sabbaths) Remaining Till Christ's Return! There is a verse in the Bible that sums up ALL mankind MUST DO to make heaven. Did you get that? This means this verse explains EVERYTHING a man must know, believe, and do to obtain eternal life. So, if after you hear it, you think there is something else a person must know, believe, and do … you are deceived. Here’s the verse, from sagacious Solomon: “Let us hear the conclusion of the WHOLE MATTER: Fear God, and keep His Commandments: for this is the WHOLE DUTY of man” (Ecclesiastes 12:13). Did you get that? "Fearing God and Keeping His Commandments" is not just part of man’s duty! It's not just a nice suggestion! It’s the ENTIRE (complete & total) reason you should be living on this planet!!! And what are God’s Commandments? They are His 10 Commandments of Love! And they have been known by all mankind since Adam & Eve sinned. Enoch lived by them. Noah preached them. Moses wrote them down. The prophets taught them. John the Baptist taught them. Jesus taught them. The Disciples and Apostles taught them. So without a doubt, as God’s Word proclaims, they are ALL a person must know, understand, believe, and DO to receive eternal life. But don’t we need to know the story of Jesus to go to heaven? Nope! Don’t we need to believe "Jesus died on the cross for our sins" to go to heaven? Nope! Well, surely we need to “accept Jesus” to enter the pearly gates, right? Nope! These are all modern day church deceptions. 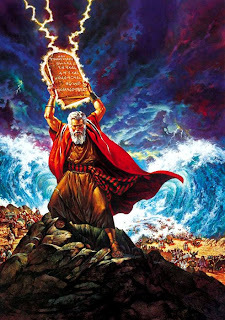 Listen to the verse, again … the WHOLE DUTY of man is to “fear God and keep His (10 Love) Commandments”. Now that you know this, don’t you think you should desire to study in depth God’s 10 Commandments? Don’t you think you should desire to know every little detail about them? 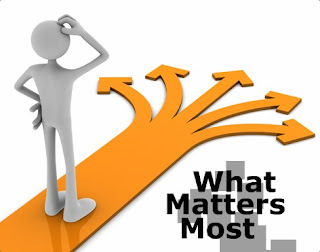 If so, then visit the most important website on the internet …10LoveCommandments.com. Don’t miss the opportunity to fully understand your WHOLE DUTY and obtain eternal life! Approximately 796 Weeks (Sabbaths) Remaining Till Christ's Return! Of ALL the misconstrued, mis- interpreted, twisting - of - Scripture, demonic church doctrines Satan has hoodwinked the people of planet Earth with for the past almost 2,000 years, BY FAR the most damnable one (meaning, has helped send the most people to hell!) is this … if you simply believe in the story of what Jesus did (that he died and rose again) you will absolutely, positively go to heaven when you die. Satan has cleverly duped today’s religion of “Christianity” with this massive fraud, and it seems everywhere I turn today (radio, TV, YouTube, Facebook, funerals, emails, etc) I continually hear this Satanic lie repeated over and over again by ignorant people. And I can honestly say NOTHING on this Earth gets my blood boiling more than witnessing these people (who think they are fronting as God’s spokesmen, helping others make it into heaven) speak these lies, for I know they are really helping my fellow human beings (who I dearly love) wind up in hell! So how did Satan concoct this deceitful doctrine? What Scriptures was he able to twist and wrest to invent it? What Scriptures does he desperately try to keep hidden to keep this lie going? And how can people be so ignorant (fyi, “ignorant” means: to ignore something) of the Scriptures in God’s Holy Word to actually want to spread this sham? Furthermore, how can they cast aside all manner of salvational logic and reason, sweeping under the rug the millions of people who have lived and died on this Earth (before and after Christ died on the cross!) having never gotten a chance to hear the story of Jesus, by just saying, “Oh, well, they are a different group of people. God will decide their fate for different reasons. Just forget about that! Don’t think about that!” Ugh, are you kidding me! So, are they saying God isn't fair, on an issue of ETERNAL importance? Wow, the audacity! This morning I just read the following comment written on a Facebook religious page: “God could never accept false religion, only Jesus Christ died for you and rose from the grave taking your rightful place in death, accept this and you are saved, reject it … then your future is a burning dung heap!” Hear what they think is the ‘bottom line’ for going to heaven? Hear their hatred towards other religions? Disgusting! A few weeks ago at the famous country music singer George Jones’ funeral I listened to his preacher eulogize: “I asked George on his death bed, ‘George, you do believe God sent His son Jesus into the world and that he died for your sins and rose again?’” The point was again crystal clear … this preacher thought the ‘bottom line’ to making sure George made it to heaven was whether or not he believed this story about Jesus! Uggh, I almost vomited right there in my Nashville, Tennessee Opry House seat! In recent months I continue to come across YouTube videos of people fully convinced this satanic lie is the truth, doing their best to spread it far and wide through the internet. (Two of these stomach-turning videos are linked below.) In churches people give their hard earned tithe money to missions, helping send out people into the world to spread this evil lie. It is sick, for sure! It is repulsive, no doubt! But I reckon this HUGE lie will endure on Earth until Jesus returns in about 15 years. On the other hand, if you truly want to be sure you make heaven, understanding ALL of God’s Word concerning salvation (how to obtain eternal life) please read the book I wrote “Undeniable Biblical Proof Jesus Christ Will Return To Planet Earth Exactly 2,000 Years After The Year of His Death” or visit the websites: UndeniableBiblicalProof.com or 10LoveCommandments.com. Facebook comment by Lu La'bell, April 28 8:37am on "God" page. YouTube video: "Vain Striving After the 10 Commandments ENDS in HELL"
YouTube video: "Keeping the Ten Commandments WON'T save you"
Approximately 797 Weeks (Sabbaths) Remaining Till Christ's Return! I can still remember the first time I kept the Sabbath … the joy, the excitement, the love in my heart for God. For months, everywhere I turned, God had been confronting me with knowledge about His fourth Commandment “Keep the Sabbath Day Holy”. I was reluctant. But after learning the 7 day weekly cycle was unbroken, I was convinced God desired for me (and ALL mankind!) 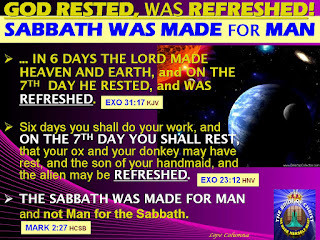 to honor the 7th day Sabbath (sunset Friday to sunset Saturday). What gave me the most joy as I knelt down on my knees that first Friday night back in AD 2006? It was knowing I was doing something the Creator God desired for me to DO! In other words, I knew what I was doing pleased God! Words cannot explain the love that flooded my soul that night. Today, I often get messaged by people reading my book, curious about the Sabbath and how to observe it. Here’s the bottom line … it’s about REST from your weekly struggle (labor) to earn money! Understand? It’s not about a long list of specific do’s & don’ts. That’s what the Pharisees of Jesus’ day tried to do to the Sabbath! (Remember when they accused Jesus’ disciples of “working” because they picked some corn to eat because they were hungry on the Sabbath.) Ridiculous! Don’t do that to yourself! 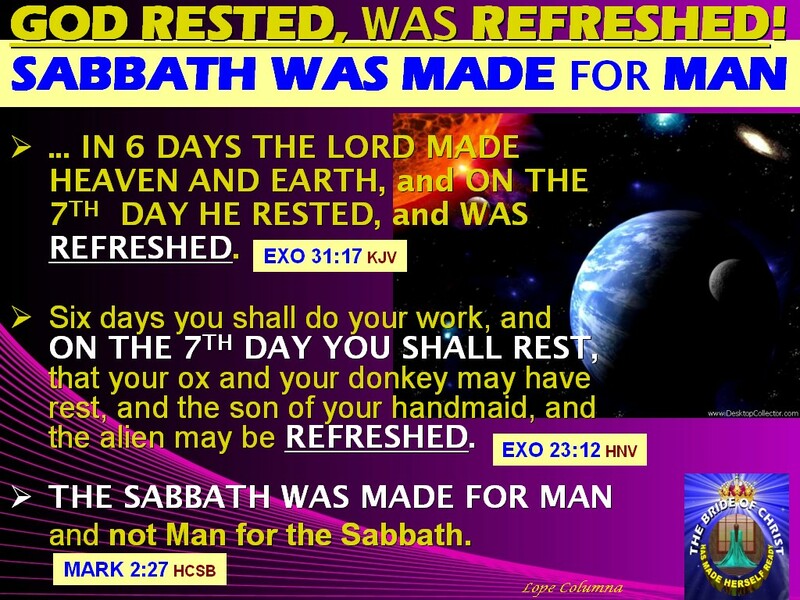 The Sabbath is not a burden, it’s a refreshing delight! Listen, when you understand God’s 7 Day (7,000 years) Master Time Plan for planet Earth as foretold in His 7 prophetic Days Creation event, and that Day 7 (years 6,000 - 7,000) will be the Satan-locked-up, glorious, peaceful, restful, loving reign of Jesus Christ & all the resurrected righteous, you should think to emulate that atmosphere on the Sabbath Day. The day should be full of love, happiness, peace, rest, and joy. In other words, keep it holy. Take a walk, visit a zoo, smell the flowers, read God’s Word, help a neighbor, visit the sick & imprisoned, breathe, laugh, love, just take it easy and rest. Without a doubt, the Sabbath should be a DELIGHT (a day you look forward to) each week, not a burden. Those who despise the Sabbath Day despise God. They think God is trying to control their life. They do not want to honor God, His wishes, or His plans. They want to live their own life and do their own thing. I assure you this rebellious mindset and attitude is a losing venture. Remember, God’s fourth commandment is not a “suggestion”; it is a COMMAND for you to DO. God is testing your resolve to trust Him and honor Him with this simple-to-do commandment. Will you? Oh, how I pray people find the joy of God’s Sabbath (now & forevermore)! Approximately 798 Weeks (Sabbaths) Remaining Till Christ's Return!